Marwadi University is striving for excellence in the field of education, in this endeavor one of the initiatives is “Union Budget-2018-19: Perspectives”. 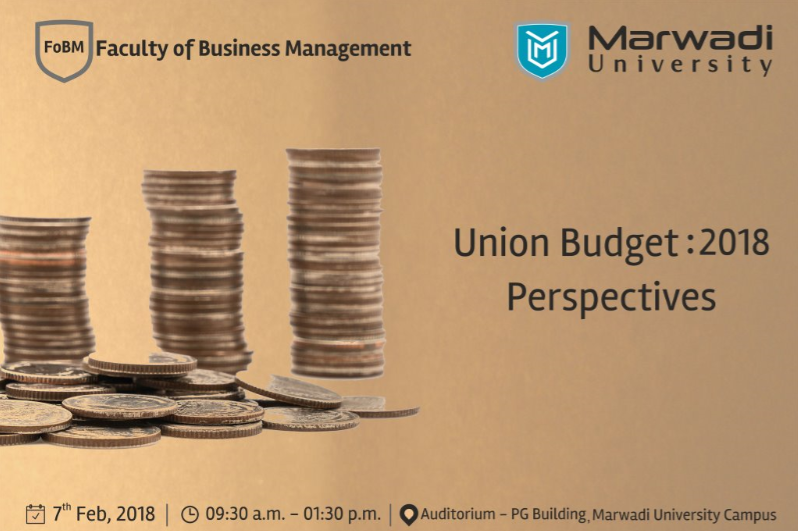 The objective of the event is to enlighten the students and faculty members of Marwadi University about different perspectives of Union Budget. A panel discussion has been organized to know the pulse of different stakeholders in the society. Representatives from different Industry Bodies, Trade Associations, Sector Specific Experts and Academicians have been invited for the event.